The economy has forced the Legislature to make some tough decision on the budget. However, over the past 4 years, FLVS has taken almost double the cut in funds per student than school districts and may be facing some additional cuts this year. Millions of your tax dollars have been spent to create the best virtual school in the world. FLVS is a very successful choice program and enrollment is 100% demand driven. FLVS has served thousands of home education students. In order to protect the Florida Virtual School and keep it a viable option for ALL Florida students you need to let your elected officials know what a valuable school FLVS is. At this point your letters should be testimonies. Most legislators do not know the difference between the FLVS and the other full-time virtual programs. FLVS is more than just a curriculum online; it is a school with a great deal of teacher/student and teacher/parent interaction. Unless legislators have had a child taking courses they may not know how unique FLVS really is. Budget decisions are being discussed right now and the Session begins in a weeks so you need to take action NOW. * Write your Florida Legislators and Governor as soon as possible. * Tell them how much you love FLVS and how much teacher/student interaction there is. * Ask them to keep FLVS as a well-funded viable option for all Florida students. *Note: If you had a negative experience make sure your child was actually enrolled in the FLVS and not a school district franchise of FLVS. Some students have reported limited office hours and teacher availability in some of the district franchise program. FLVS is the premier virtual school in the country. It has won all kinds of national and international awards for excellence. It is by far the choice of school districts, parents and students. FLVS is one of the few, if not the only, government entities that actually creates a product that is sold out of state to bring revenue back into the state to support education. Instead of cutting the funding as the Legislature needs to consider expanding FLVS. 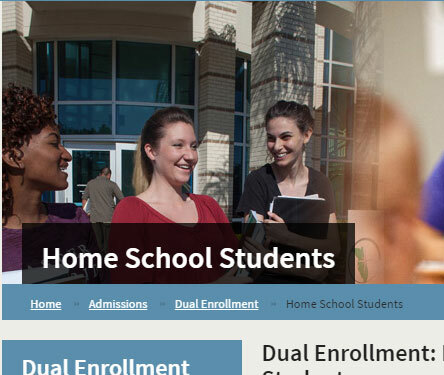 * FLVS could provide dual enrollment courses for students who want to accelerate their education. The result of legislation that was passed in the 2012 Session dual enrollment courses was limited in almost every state college. The Legislature makes it possible for FLVS to provide dual enrollment courses statewide in order to meet the demand of students who want to accelerate their education. * FLVS is positioned to provide industry certifications in technology and business for ALL students in the state. 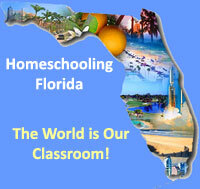 The Home Education Foundation is supported solely by contributions of Florida home educators. ← Broward County Family Events – Can You Say “Field Trip” (or perhaps a reward)?